U.S. District Judge Irene Berger this morning began instructing jurors in the Don Blankenship case about the law that applies to the criminal charges against the former Massey Energy CEO. Berger started reading the lengthy instructions to jurors shortly after they were brought into the courtroom at 9 a.m. 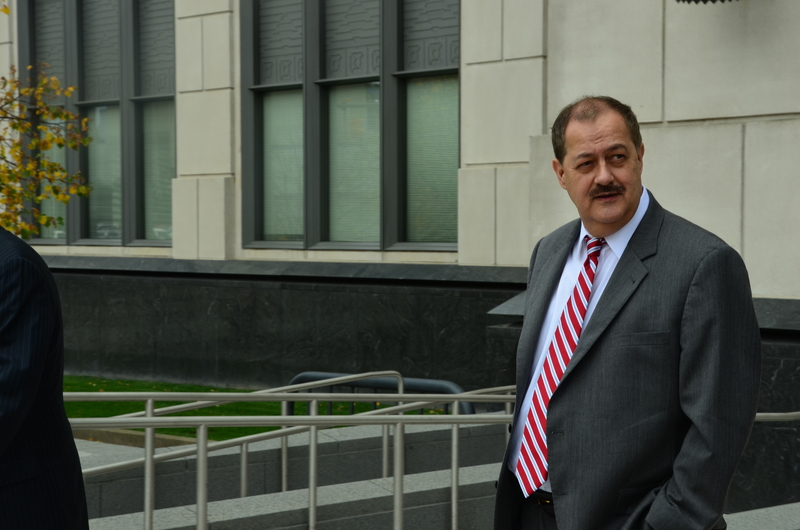 Among other things, the judge reminded jurors that Blankenship was not charged with causing the April 2010 explosion that killed 29 miners at Massey’s Upper Big Branch Mine. “Neither the cause of nor the responsibility for the explosion is at issued in this care,” Berger told jurors in a packed courtroom. While the judge gave jurors a complex set of instructions about conspiracy and securities laws, she told jurors it is up to them to decided which evidence – testimony and exhibits – they believe to be true. “The facts are for you the jury to decide,” the judge said. November 16, 2015 by Ken Ward Jr.
Don Blankenship’s defense team rested its case this morning without presenting any of its own witnesses. “Ladies and gentlemen of the jury, the defense rests,” lead defense lawyer Bill Taylor said, following a bench conference after the government rested its case. U.S. District Judge Irene Berger dismissed the jury for the day and told lawyers to report back to the courthouse at 1:30 p.m. when she plans to announce to both sides her instructions to the jury. The jury was told to report back at 9 a.m. Tuesday. The federal government was preparing this morning to rest its case against former Massey Energy CEO Don Blankenship. F.B.I. Special Agent Jim Lafferty, the government’s 27th and last witness, was excused after U.S. District Judge Irene Berger told defense lawyers they could not use their cross-examination of Lafferty to get into evidence more recordings of Blankenship’s phone calls. Berger held more than an hour of argument this morning about the defense’s efforts to play for the jury phone call recordings the defense believes depict Blankenship’s concerns about safety issues. Berger told the defense they would need to try to get the calls into evidence through a different witness. Lead defense lawyer Bill Taylor later this morning objected when the government sought to admit into evidence a collection of minutes from Massey board of director’s meetings. Taylor said the government should have to produce a witness who could describe what happened at the meetings so that the defense could cross-examine that witness. “This is trial by paper,” Taylor said. 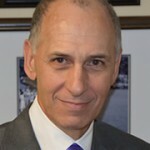 Berger ruled against Taylor’s request. At about 9:30 a.m. the judge took a break so that the defense team could make final preparations to begin its case once the jury is brought in to the courtroom. November 13, 2015 by Ken Ward Jr.
— Judge Berger turned down a variety of proposals from defense lawyer Eric Delinsky aimed at forcing the government to produce FBI Special Agent Brent Stanze to reappear to help the defense “authenticate” the telephone recordings of Blankenship’s that it wants to play for the jury. Stanze had appeared back on Day 3 of the trial in early October, and testified about how he went through copies of the recordings provided to the government by Alpha Natural Resources (after Alpha bought Massey Energy) and compared them to calls from the actual recording devices (see this exhibit) to ensure they were authentic. Assistant U.S. Attorney Steve Ruby argued — and Judge Berger agreed — that the defense has to somehow authenticate its recordings, but can’t use a government witness to do it. Delinsky made a variety of arguments about all of this — he said the government had never disclosed it had the recording devices prior to trial, that the trial needed to be delayed to give the defense time to find someone to authenticate its calls, or that one of the defense lawyers themselves might have to appear as a witness to do so. In the end, Judge Berger ordered the government to make the devices available to the defense over the weekend at the local FBI office so the defense can try to do the work it needs to do to authenticate its calls. — The judge agreed to admit somewhat redacted copies of newspaper articles from The Charleston Gazette, the Charleston Daily Mail and the New York Times into evidence. Ruby had argued they were needed to help the government show the kind of information that stock market investors were seeing about Massey after the Upper Big Branch Mine Disaster. Defense lawyer Bill Taylor had argued the stories were hearsay and also contained information — such as the number of workers who had died over the years in Massey mines — was unfairly prejudicial to Blankenship. November 12, 2015 by Ken Ward Jr.
I’m just back from the federal courthouse in downtown Charleston, where there was a flurry of interesting moves this afternoon in the criminal trial of former Massey Energy CEO Don Blankenship. 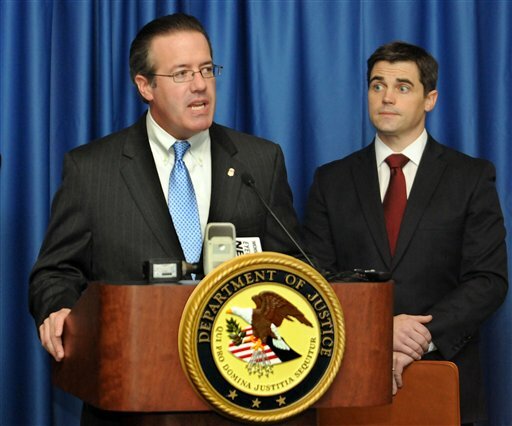 First, Assistant U.S. Attorney Steve Ruby wrapped up his re-direct examination of FBI Special Agent Jim Lafferty. One key point that was made concerned all of those daily violation reports (see here, for example) on Upper Big Branch and other Massey mines, those reports may not have included all of the specific details of the violations, they certainly included an estimate of the potential monetary fine for each violation. Ruby brought that fact out to try to convince jurors that the real reason Blankenship was getting those reports wasn’t because he was so concerned about making mine safety — but that he was worried about the rising costs of the violations. Then, as we mentioned previously, U.S. District Judge Irene Berger said that she would not make a decision until Monday about whether the Blankenship defense team can play some Blankenship phone call recordings that it believes highlight the former CEO’s concern about safety. With the actual completion of defense lawyer James Walls’ cross-examination of Lafferty technically on hold, pending the phone recording decision, the government was not really able to rest its case. So at about 3 p.m., Judge Berger sent the jury home for the day. Then, Judge Berger allowed defense lawyer Eric Delinsky an opportunity to argue the defense’s Rule 29 motion for a judgment of acquittal, which is basically an argument that the government has not presented adequate evidence for the jury to find Blankenship guilty of the charges against him. Ruby responded and Delinsky replied. Those arguments lasted until about 4:30. 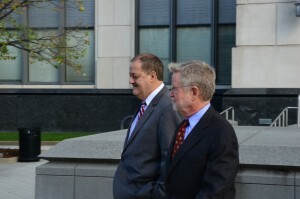 We’ll have more on those soon on the Gazette-Mail’s Blankenship trial website. Judge Berger then gave the parties a ruling on a document the government wanted brought into evidence, Government’s Exhibit 445, which is a compilation of MSHA data comparing citations and civil penalties for Massey and other coal producers. As they had with another government exhibit, defense lawyers had raised a variety of objections, including relevance and hearsay — and whether the defense had adequate notice that this data was going to be presented to the jury. Judge Berger referred back to her previous ruling in that other exhibit in admitting 445. The judge also allowed Ruby to continue arguing that she should allow previous guilty pleas by Massey subsidiaries Aracoma Coal and White Buck Coal, and a shareholder suit filed against Massey after the deaths of two miners at Aracoma, into the trial. The judge did not rule yet on that request. Judge Berger did not appear to get around to allowing Walls to conduct some closed-door “in camera” cross-examination of Lafferty — the judge hasn’t explained the purpose of this testimony or why it needs to happen in private — but she did tell the lawyers to be in court at 9 a.m. tomorrow for some “housekeeping” matters. The jury won’t return until 9 a.m. Monday. There’s a potentially big legal dispute brewing in the Don Blankenship criminal trial. It broke out this morning during the cross-examination by defense lawyer James Walls of FBI Special Agent Jim Lafferty. Toward the end of his cross-examination, Walls proposed to play for the jury and ask Lafferty questions about one of the Blankenship telephone calls that defense lawyers indicated to the court earlier this week that they planned to use in their case (see earlier blog post here and Gazette-Mail story here). Assistant U.S. Attorney Steve Ruby objected, saying the government believes the calls are hearsay. Walls said they fall within a recognized hearsay exception. A lengthy bench conference followed — with Blankenship often standing at the bench with his attorneys — and the judge then gave the jury its morning break. Berger agreed with prosecutors, granting their motion during a hearing on the eve of trial. Now, we don’t know exactly what the government or the defense argued, because so much of the discussion took place in a private bench conference. Ruby raised another objection, questioning how the defense would authenticate the calls — government lawyers had called a different FBI agent who testified about checking the recordings against the devices Blankenship used to record them and also called Blankenship’s former secretary to identify his phone on the recordings. And, Ruby argued that the government needs more time to review the calls before being able to fully articulate any other objections. Judge Berger gave the government until Monday morning to listen to the calls and pose any additional complaints about having the jury hear them. After taking Veterans Day off, the criminal trial of Don Blankenship continued this morning with cross-examining continuing of Federal Bureau of Investigations Special Agent Jim Lafferty. Defense attorney James Walls questioned Lafferty about the amount of information Blankenship received about safety violations at Upper Big Branch and other Massey mines. Lafferty conceded that daily violation reports sent to Blankenship did not contain all of the details from the actual citations and orders issued by the U.S. Mine Safety and Health Administration – something Lafferty had already testified to during direct examination. Walls went through a collection of MSHA citations and daily reports to Blankenship to illustrate for jurors the differences between the two. The reports, for example, list the section of federal safety rules violated and a type of violation, such as roof control or ventilation. The reports to Blankenship also specified the estimated penalty for each violation. The MSHA citations themselves include longer descriptions from agency inspectors explaining exactly how roof control or ventilation rules were violated. Also this morning, Walls moved forward with the defense’s plan to try to play for jurors the defense’s choices from the 1,600 of Blankenship’s phone calls that the former CEO recorded. Assistant U.S. Attorney Steve Ruby objected that the calls were hearsay. U.S. District Judge Irene Berger then held a lengthy private conference with lawyers from both sides – and with Blankenship, who stood at the judge’s bench with the attorneys. After the bench conference ended, Berger gave the jury its morning break. November 10, 2015 by Ken Ward Jr.
There’s a new filing tonight from Don Blankenship’s legal defense team, informing prosecutors and U.S. District Judge Irene Berger that they have their own collection of telephone call recordings they want to play for the jury. Donald L. Blankenship, through counsel, hereby provides notice of his intent to introduce into evidence audio recordings of telephone calls he made as CEO of Massey Energy Company during the indictment period. In these calls, Mr. Blankenship, among other things, (1) gave instructions regarding improving safety and reducing violations at Massey mines and (2) received notice of various ongoing efforts at the company in these areas. The defense will offer these audio recordings to prove Mr. Blankenship’s state of mind with respect to each count of the superseding indictment. They will not be offered to show the truth of the facts asserted in the recordings. In the midst of the criminal trial of Don Blankenship, Alpha Natural Resources is using its bankruptcy proceedings to again try to avoid paying legal fees for the former Massey Energy CEO. According to a motion filed in the Eastern District of Virginia’s bankruptcy court on Nov. 3, Alpha — which bought Massey in 2011 — is seeking to shed its obligation by calling Blankenship’s legal service contract, which he entered in June 2010, an executory contract. It is a pre-petition obligation that we cannot and do not intend to pay. We are rejecting any agreements related to the indemnification of attorney fees incurred by Mr. Blankenship. When the criminal trial resumes on Thursday at 9 a.m., FBI Special Agent Jim Lafferty will be back on the stand. During testimony from financial expert Frank Torchio, both the government and defense team for Blankenship used newspaper stories from around the country to bolster their case. The defense referenced several stories (the Chicago Tribune, the L.A. Times and the Newark Star-Ledger) published after President Barack Obama’s April 15 announcement in the White House Rose Garden that the U.S. Department of Justice would assist in the mine explosion probe. The government meanwhile used their own news clippings, including a Charleston Gazette article by Ken Ward Jr. dated April 7, 2010 and another, dated April 12, 2010, from former Daily Mail reporter Ry Rivard. Taylor objected to the material in the articles being included, nothing for example that a Gazette story was “filled with references to Aracoma, the guilty pleas, and quotes from [United Mine Workers President] Cecil Roberts. ” Taylor said that the articles were “inflammatory” and would create a danger to the jury’s ability to fairly weigh the evidence in the case. Jurors in the criminal trial of Don Blankenship took their daily lunch break today with FBI Special Agent Jim Lafferty still on the stand, providing summary testimony through questioning by Assistant U.S. Attorney Steve Ruby. Ruby and Lafferty showed jurors two large charts aimed at illustrating the frequent inattention at Massey’s Upper Big Branch Mine to cleaning up spilled coal and coal dust and to properly rock-dusting conveyor belt entries of the mine to prevent fires and explosions. Based on Lafferty’s review of the fireboss books from Upper Big Branch (see here, here and here), the charts showed boxes representing particular shifts and particular conveyor belts, with color coding to indicate whether, for example, mine examiners had found a need for rock-dusting. The chart was full of red boxes, which indicated that company examiners frequently found areas that needed rock dusted, but did not note on their reports that the corrective actions had been completed. Of the 787 boxes that were marked as needing rock dusted, the work was reported to have been completed only 102 times, Lafferty told jurors. Also this morning, Lafferty testified that he reviewed the 59 “unwarrantable failure” orders that were issued at Upper Big Branch and found that all but three of them were marked by MSHA inspectors as having involved “high negligence.” The other three were marked as having been “reckless,” Lafferty testified. The jury returns at 1:30 p.m.
Today U.S. District Judge Irene Berger denied two recently filed motions by the Blankenship defense team. The first denial was a refusal to allow the defense to introduce an edited version of a video of a safety program kickoff that took place in August 2009. The judge previously denied the defense’s efforts to introduce the video. In her brief order, Berger cited her previous reasons for continuing to deny the introduction of the video. The order comes a day after prosecutors filed a response to the Blankenship team’s latest effort to have jurors be able to see the video. The second order from Berger filed today denied the defense’s opposition to government exhibit 83 and any similar documents. The exhibit, which has already been admitted into evidence, showed how Massey compared to other companies in terms of MSHA violations. 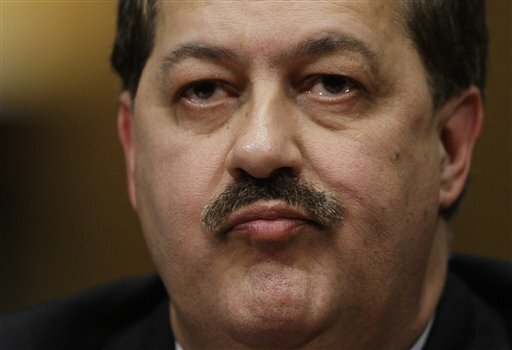 Then-Massey Energy CEO Don Blankenship personally received daily reports that listed nearly 600 safety violations issued to the Upper Big Branch Mine in the months before the April 2010 explosion, the Federal Bureau of Investigation’s lead agent investigating the mine disaster told federal jurors this morning. 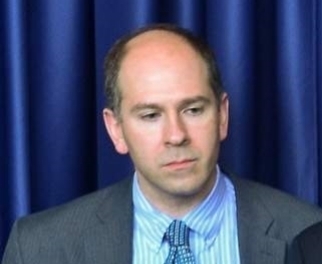 FBI Special Agent Jim Lafferty summarized the findings of his review of five thick binders of daily violation reports sent to Blankenship and other top Massey officials in late 2009 and early 2010. Questioned by Assistant U.S. Attorney Steve Ruby, Lafferty read from and explained to jurors the Massey financial reports from the years prior to the disaster. One report, for example, showed that Massey had nearly $1.2 billion in cash-on-hand as of March 31, 2010, Lafferty testified. Among other things, federal prosecutors allege that Blankenship had the power – and the money available – to hire more miners so that UBB and other Massey mines could keep up with government health and safety standards. Instead, prosecutors say, Blankenship conspired to violate those safety rules and cover up the resulting hazards to workers. Lafferty took the stand this morning as prosecutors prepared to end the presentation of their case against Blankenship. He is the 27th and last government witness on the 23rd day of testimony in the trial. 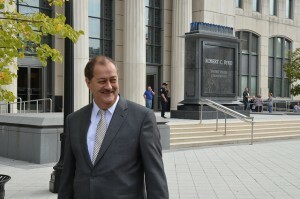 Lafferty explained that while Blankenship was not sent copies of the actual citations issued by the federal Mines Safety and Health Administration, his daily violation reports provided a summary of what each violation alleged and the seriousness of each one. Defense lawyers objected and U.S. District Judge Irene Berger told the jurors to disregard ruby’s remark. Ruby then asked Lafferty how many of the citations from UBB were summarized in the daily violation reports sent to Blankenship. November 9, 2015 by Ken Ward Jr. It seems like a long time since Assistant U.S. Attorney Steve Ruby said on Oct. 21 that they might wrap up their case early the following week in the criminal trial of former Massey Energy CEO Don Blankenship. So Ruby was pretty up front about it when U.S. District Judge Irene Berger asked him this evening for another estimate. Ruby and Judge Berger agreed his track record on such predictions wasn’t very good. But it does seem as if the prosecution is wrapping up. Tomorrow morning, they are expected to call their last witness, lead FBI Special Agent Jim Lafferty, to the stand. Ruby said the direct examination of Lafferty should be completed by late morning or early afternoon — then, of course, the defense will get to cross-examine the agent. Defense lawyers could be starting their case as early as Thursday — depending on exactly how Judge Berger handles the defense motion for a judgment of acquittal that lead defense lawyer Bill Taylor is expected to make before opening his case. — Prosecutors filed a response to Blankenship’s latest effort to have jurors be able to see a video of what defense lawyers have touted as a major safety program kickoff meeting in August 2009. They continued to argue against allowing the video, which Berger has ruled out of the case at least twice. — The government also filed a response to the defense’s motion that Berger strike from the trial evidence a comparison of Massey’s safety violations to those received by other major coal producers. — Defense lawyers, meanwhile, filed a “proffer” to explain to the court testimony that they believe they would have presented if Berger had allowed them to re-cross examine prosecution witness Bill Ross, a former Massey Energy ventilation expert. The juror returns tomorrow at 9 a.m.
Defense lawyers continued this afternoon to cross examine a prosecution expert about the impact on Massey Energy stock prices of public statements in news reports about the Upper Big Branch Mine disaster. Eric Delinsky, one of former Massey Energy CEO Don Blankenship’s lawyers, quizzed prosecution witness Frank Torchio about the public disclosures that could have played a role in Massey’s stock prices plummeting in the weeks after the UBB explosion. 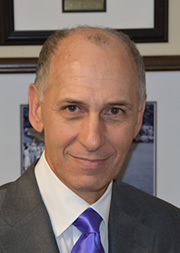 For example, Delinsky questioned why a National Public Radio report of an FBI criminal probe of UBB prompted a large drop in Massey’s stock, while an announcement by President Barack Obama that he had told the U.S. Department of Justice to assist in the mine explosion probe made no significant change to stock prices. Along with challenging Torchio’s analysis the line of questions allowed Delinsky to repeatedly state to the jury the idea that “President Obama” had “ordered” a criminal investigation that led Blankenship’s indictment. 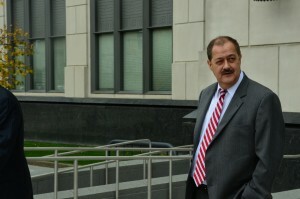 Blankenship has argued the case against him was politically motivated. Delinsky was also trying to convince jurors that information about potential criminal charges – as well as about Massey’s large number of violations – was not really new when NPR reported it. Torchio had described the NPR story as a crucial point that led to a $500 million drop in Massey’s worth. Torchio said that his fee is $500 per hour and that he’s billed the government $25,000 to $30,000. He said he was contacted by the government to work on the case in June 2014 and did not start working on it until early 2015, after Blankenship was indicted. 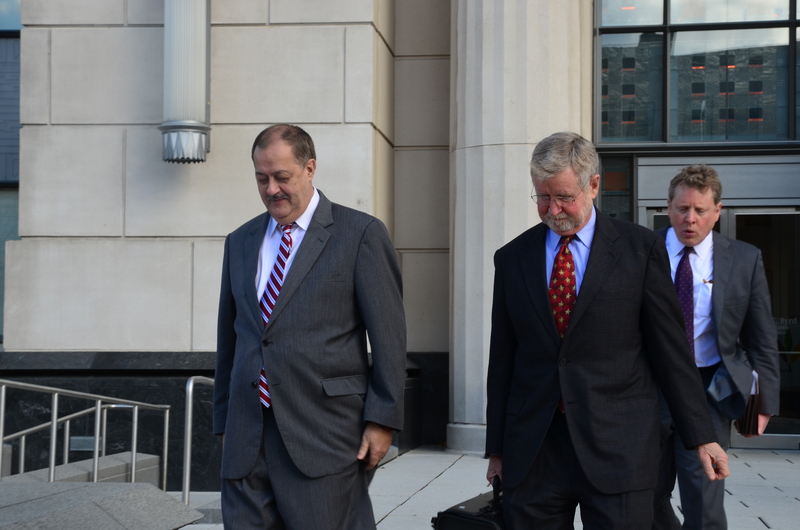 The jury in the Don Blankenship trial continued this morning to hear testimony from Frank Torchio, a financial expert hired by federal prosecutors, about Massey Energy stock price changes following the Upper Big Branch Mine Disaster and about the Massey statement to shareholders that is at issue in counts 2 and 3 of the indictment against Blankenship. During cross-examination, Torchio and defense lawyer Eric Delinsky got into it a little bit — interrupting each other to the point that U.S. District Judge Irene Berger stepped in, something the judge has seldom had to do in the previous 21 days of testimony of the Blankenship trial. In particular, Delinsky didn’t seem to like it much when Torchio refused to accept the premise of question from Delinsky about whether a report from a financial analyst at Jeffries had nothing to do with comments in Massey’s shareholder statement — key remarks concerning the indictment — that Massey doesn’t condone safety violations and strives to be in compliance with all rules at all times. 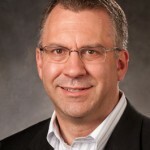 Torchio said he didn’t agree that the two things weren’t related — and said that the analyst remark that the drop in Massey’s stock prices (see previous post) was “excessive” given the circumstances suggested the analyst was disagreeing with a market response to media reports about Massey’s poor safety record. Torchio was still on the stand when Judge Berger gave jurors the lunch break, with Delinsky still conducting cross-examination. Meanwhile, Judge Berger did post to the court’s PACER system for the case a copy of the letter that Charleston Gazette-Mail editors sent to her late last week regarding media access to information about bench conferences and jury selection. There’s been no response from the judge, however. 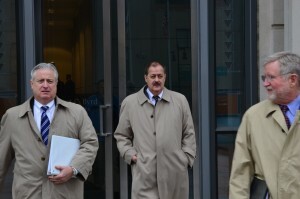 Prosecutors in the Don Blankenship criminal case continued this morning with testimony about the securities fraud charges against the former Massey Energy CEO. Frank Torchio, a financial expert testifying for the government, told jurors about a study he performed which examined Massey’s stock price changes after the April 5, 2010 explosion at the company’s Upper Big Branch Mine. 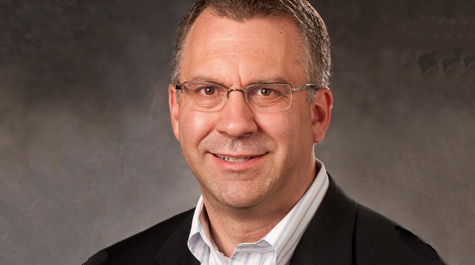 Torchio explained that Massey’s stock price plummeted on April 6 and 7, with the company losing about $900 million in value in just two days. The stock price rebounded somewhat on April 9, when Massey told investors the company does not condone safety violations. But then in late April, when National Public Radio reported the existence on an FBI criminal investigation of the mine explosion, Massey shares dropped again, costing about $500 million in value, Torchio said. Torchio said Massey stock dropped again a few weeks later, when the U.S. Department of Justice confirmed the existence of the criminal probe. Massey lost $382 million in equity after that disclosure, Torchio said. Torchio is the 26th witness as the trial begins its 22nd day. Along with federal charges of conspiracy to violate mine safety laws, Blankenship is accused of issuing a statement saying Massey did not condone safety violations to try to stop the initial Massey stock drop after the blast. 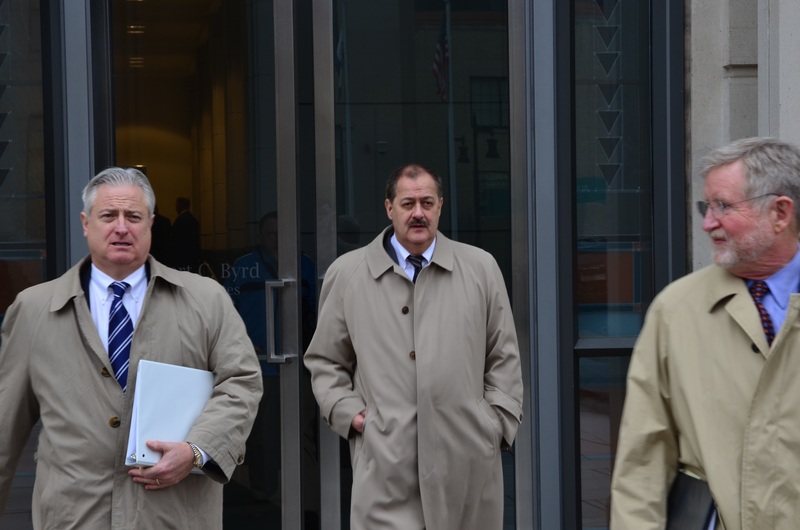 Former Massey CEO Don Blankenship leaves the federal building on Friday. Photo by Joel Ebert. Today’s court session in the trial of former Massey CEO Don Blankenship ended with U.S. District Judge Irene Berger sending jurors home a little early — at about 4:30 p.m. — after Assistant U.S. Attorney Greg McVey completed his cross examination of former Massey chief administrative officer John Poma. Before the jury left, though, Judge Berger announced to the courtroom that she had received a question from one of the jurors about “the nature of the charges” against Blankenship. Judge Berger then told jurors that she would eventually — after testimony has concluded — instruct them about the law that they are to apply to the case. The judge did not reveal any more information about the question from the juror. The trial continues at 9 a.m. Monday in the Robert C. Byrd United States Courthouse in Charleston. John Poma, a former Massey chief administrative officer, took the stand as the government’s 25th witness on the 21st day of the trial. Assistant U.S. Attorney Greg McVey questioned Poma about a Massey statement to shareholders issued after the 2010 Upper Big Branch Mine disaster. Prosecutors allege part of the statement – saying Massey did not condone safety violations – was false. They allege Blankenship engineered the false statement to try to stop Massey’s stock price from plunging following the explosion. Poma testified that Blankenship approved the statement but on cross-examination by defense lawyer Eric Delinsky, Poma said Blankenship did not write the statement or make any edits.